If there is one thing that I am certain of after a half century of boating, it's that on a boat, something will break. A pesky oil leak in the front of the engine began as a minor thing and an annoyance. 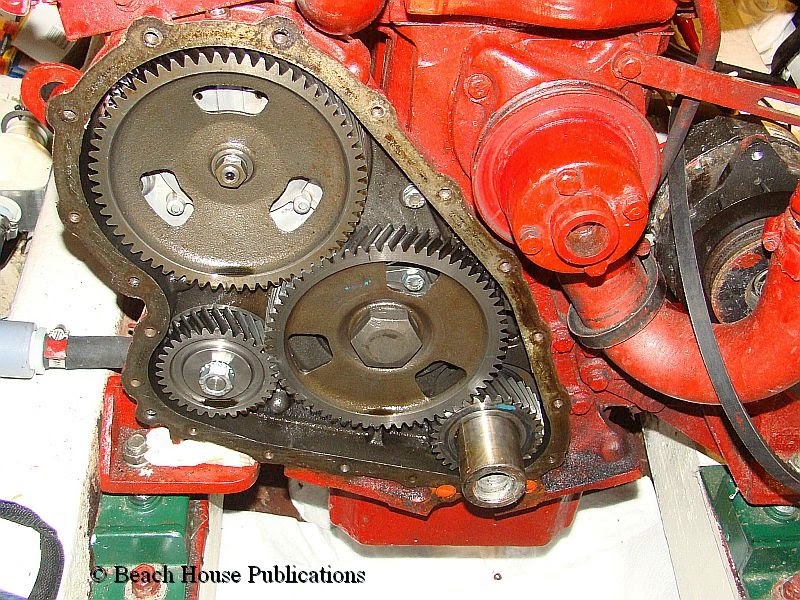 By the time we were halfway across the Okeechobee Waterway, the leak increased and since it was the front main oil seal, the belt pulley was starting to fling the oil as it spun. That meant oil was not only dripping under the engine, but slinging up on the engine room walls and everything else around it. Not a pleasant thought and definitely time to make repairs. Replacing the main seal is not a major repair, but it requires equipment most boaters don't carry on board. We knew a good mechanic from our time living in Port of the Islands near Marco Island, so a call to him arranged the repair when we arrived in Fort Myers. The parts were ordered from American Diesel and would arrive at about the same time as Beach House. All seemed to be set for a short stop and a quick fix. Ah, but this is a boat after all. 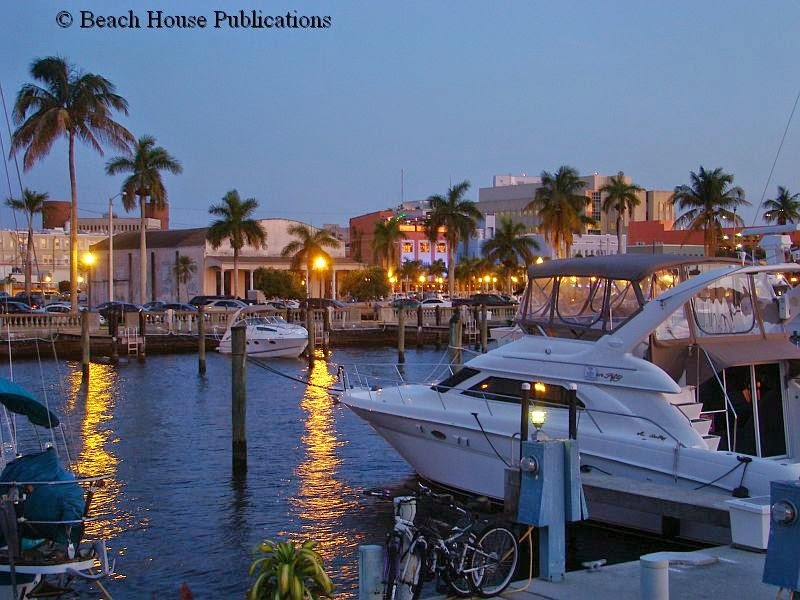 No sooner were we docked at Fort Myers Yacht Basin than a familiar face appeared on the dock to greet us. 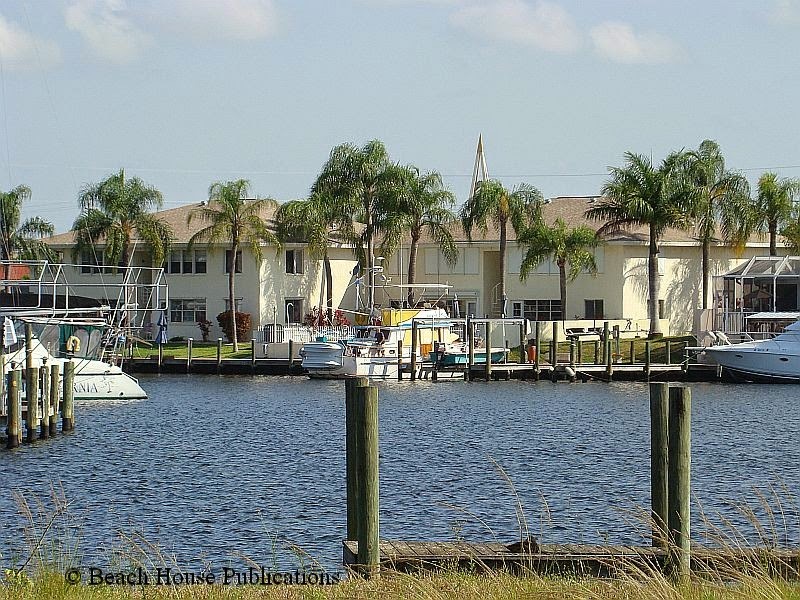 One of our neighbors from a short stop we made at Lamb's Marina near Elizabeth City, NC had moved their boat to Fort Myers and was a few slips down the dock. It's always good to see familiar faces when we arrive at a new place. A check at the marina office confirmed that the parts had arrived. We ordered a new front engine oil seal and the replacement gasket for the timing gear cover. The mechanic was lined up to arrive the next day to look over the situation and if all looked good, to make the repairs. Things were going according to plan and that worried us, a lot. But this is a boat after all. The other reason for this marina stop was to take care of some appointments that were made months ago and we needed to rent a car to get from Fort Myers to Gainesville, FL. Enterprise Car Rental in Fort Myers proved to be a little difficult at first, but we finally worked things out and hit the road. The replacement of the front engine seal on a Ford Lehman 120 requires the removal of the wheel that contains the pulley for the engine belts. This is also known as the balancer. It has a tapered nut holding it on at about 200-foot pounds and requires an impact wrench to get it off. Once off, the plate on the front of the engine that covers the timing gear is removed and the front seal is pressed into that cover. While we were on the road, a call to the mechanic revealed that the repair was not going to be as simple as we anticipated. The timing gear cover had a crack in it and it was probably the crack that was leaking and not the seal. The mechanic planned to take it to a machine shop to see if the metal could be welded, but the location made that repair iffy. We might need to find a replacement cover. These engines are over 30 years old and sometimes finding parts can be problematic. A call to American Diesel resulted in some bad news. They did not have a replacement and had not had one in a long time. This is when we started to worry. There is another provider of parts for the Ford Lehman, and that is a company called Bomac in Georgia. What a relief it was to call them and find out that they had a replacement in stock and could ship it out immediately. During the course of all of this, the new seal was damaged and another was ordered with the cover. It would arrive overnight. The parts went in the next evening and everything went back together without complication. Running the engine at the dock did not indicate any oil leaking. By now we had been at the marina a few days longer than anticipated and the crew was anxious to get underway again. The next morning the engine was run at the dock for a half hour just to make sure everything was okay, and it seemed so. But this is a boat after all. 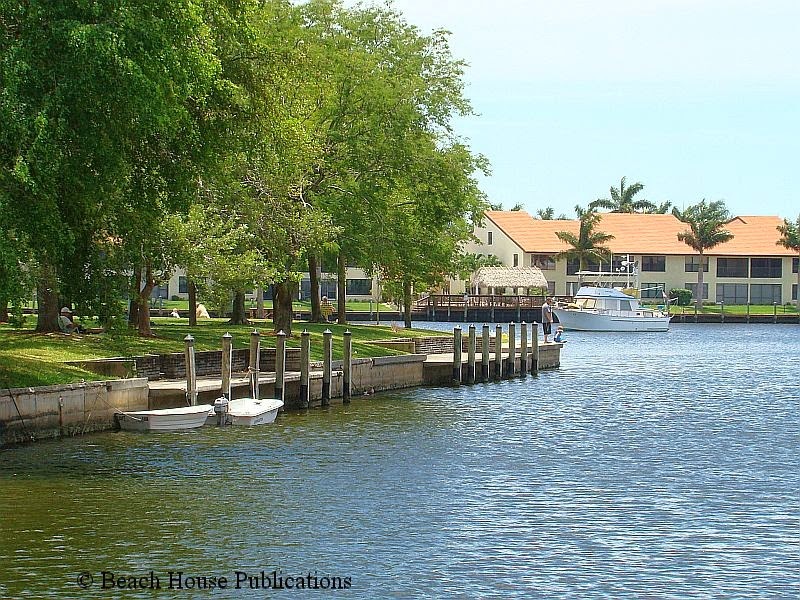 Dock lines were let go and with a little effort and help from the marina staff ̶ we had a strong cross wind ̶ Beach House eased out of the slip and continued out onto the Caloosahatchee River with plans to connect up to the Gulf Intracoastal Waterway. 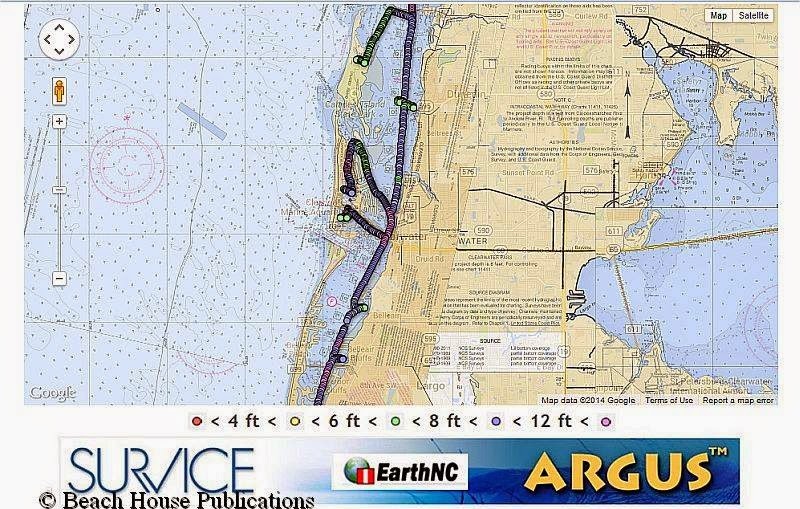 But first, we wanted to stop and investigate an anchorage a few miles away in Bimini Basin. Once the anchor was down, a check of the engine room showed the leak was not only back, but worse than before. Remember what I said earlier about boats. A call to our mechanic resulted in him offering to have us bring the boat to a dock behind his home to try and determine what happened. Since he lived nearby, we decided to spend the rest of the day and that night in Bimini Basin. 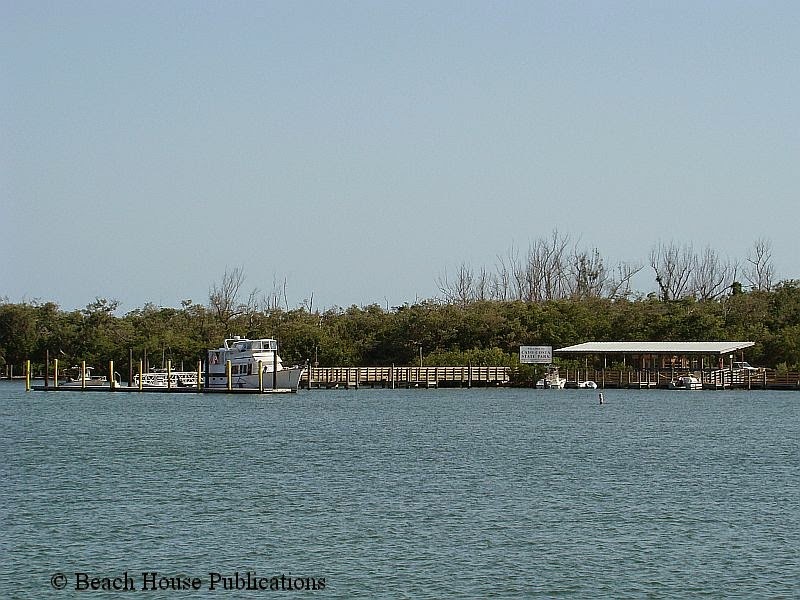 We dinghied ashore to do some exploration and as we sat on a park bench near the anchorage, we spotted our friends cruising around Beach House in their small deckboat. We had just spent the evening before with them at their home for a lovely dinner. It was a pleasant afternoon and evening, but the next day the problem with the leak had to be resolved once and for all. A short motor back up the river to the mechanic's dock didn't take much more than an hour, but when oil is leaking all over the front of the engine and being flung around, it can be a long hour. It wasn't enough oil loss to be of concern, just enough to make a mess. We tied to the dock behind the mechanic's home, but he was across the state working on another job and would not return until the evening. There was nothing to do but wait. When the parts were removed once again, it appeared as though the seal had failed. The only thing we could conclude was that it was a defective seal. 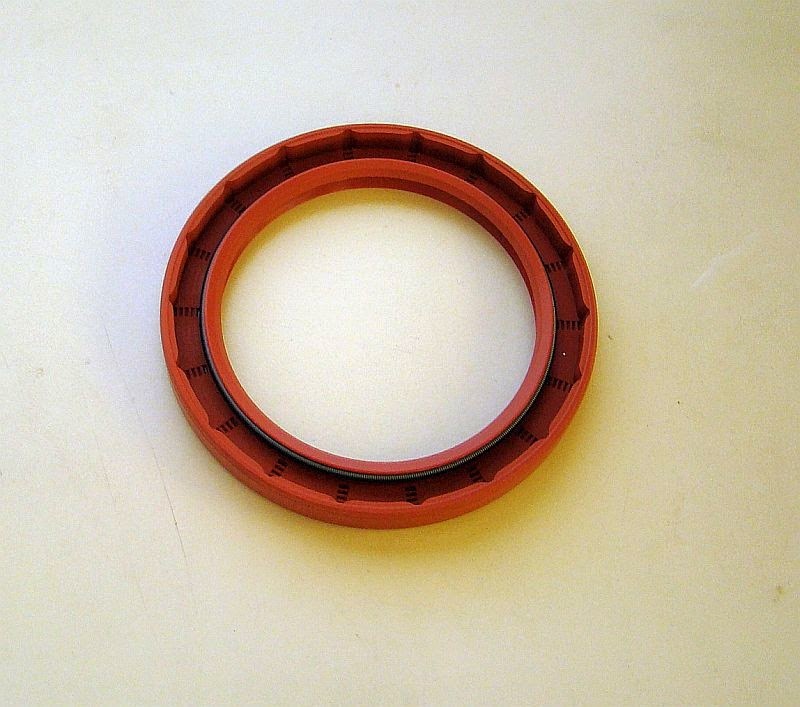 Rather than ordering another from Bomac, the decision was made to order a new seal, plus a spare, from American Diesel. Any parts that came from them was always of high quality. Once again, the parts would arrive overnight and for the third time, a new seal would be installed. Great care was taken to be sure the newest seal was installed properly. In order to do that, the seal must be properly pressed into the timing gear cover, taking care to make sure it's oriented properly. The cover is put in place with the many bolts that hold it on only loosely installed. Then the balancer is put in place until it is just barely seated in the seal. This lines the seal up and centers it on the balancer. The bolts for the cover are snugged up until all are snug, and then they are tightened as much as needed. And of course a new gasket for the cover was installed. Once the cover and seal are in place and everything is tight, the balancer is tightened down using an impact wrench. This time we ran the engine at the dock for over an hour at cruising RPMs. Once again, everything looked fine. But we have been fooled before. The following morning we left the dock and continued on our journey. Our next anchorage was only a couple of hours away just in case there was still a problem, but far enough to give the seal a workout. Hallelujah. After repeated checks of the engine room about every 30 minutes and another thorough check once the anchor was down, all looked fine. We could begin to breath a little easier, but it would still take a few days to feel confident things were finally resolved. As the days progressed and no oil leaks were detected, confidence in the engine returned to normal. There are still hundreds of miles to cover as we make our way along the Gulf Coast researching our next edition of TheGreat Book Of Anchorages, The Gulf Coast, including the Okeechobee Waterway. Most days the boat will put in a full day of running, but the distance transited along the coast might only be about 10-15 miles. There are so many anchorages to research and explore that we zig and zag across the GIWW. There will be other days where 50 or 60 miles of the open Gulf of Mexico will be ahead of us as we cross the Big Bend region of Florida. Traveling alone on a boat with a single engine keeps us aware of the need to have everything in good working order. A breakdown miles out in the Gulf and a long distance from any help can be more than an inconvenience. Weather this time of year along the Florida coast also plays an important part in all of our decision making. It's already the rainy season and afternoon thunderstorms are becoming a fact of life. Some of these storms can be sudden and very violent. We need a boat and equipment we can count on, and we believe Beach House will not let us down. Let the adventure continue. Don't forget to visit us on Facebook to see lots more photos and the latest news.